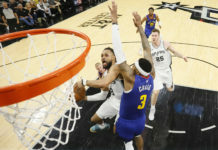 The Denver Nuggets have lost their first three game out of the gate and look to turn their bad fortune around in their upcoming game against the Los Angeles Clippers. The Nuggets are 22-35 on the year and are 4-6 in their last 10. Sloppy defense has been the big storyline surrounding the Nuggets, as they’ve given up 100-plus points in each of their first three games. The Los Angeles Clippers are a team that could abuse the Nuggs on offense. The Clipps, powered by Chris Paul, have one of the most high-powered offenses in the NBA. 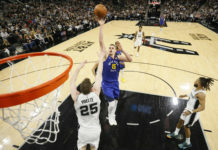 Not only do they have one of the best floor generals in the NBA, but he has an arsenal of weapons at his disposal, even with Blake Griffin sidelined with a broken hand. The Clippers have six guys on their squad that average double-digit points per game, and with the way the Nuggets have been playing, it would be a surprise if all six of those guys didn’t reach that mark versus Denver. Another aspect the Nuggies need to improve in is the rebounding game. The Nuggets lack in that department immensely, and the Clippers will take advantage of that. Despite being down Griffin, the Clippers are in solid shape down low. DeAndre Jordan averages 14.2 rebounds per game, almost twice as many as Kenneth Faried (the Nuggets’ leading rebounder). We have seen the Nuggs get exposed down low since the break, and they are presented with another tough task come Wednesday. The Clippers are 7-3 in their last 10 and are 18-10 at home. Win the rebound game: Denver’s greatest downfall is their presence down low. The Clippers are already without Griffin, which should make life a little easier on the Nuggets, who do average more rebounds per game (44.4) than the Clippers (42.7). 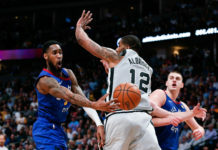 Sharpen up the defense: The Nuggets have been awful defensively, and they need a strong defensive performance to help get back on track. Teams have been scoring at will in the paint, grabbing easy bucket after easy bucket. If the Nuggies limit the easy points and opportunities and lock down the perimeter, they will significantly boost their chances at winning. 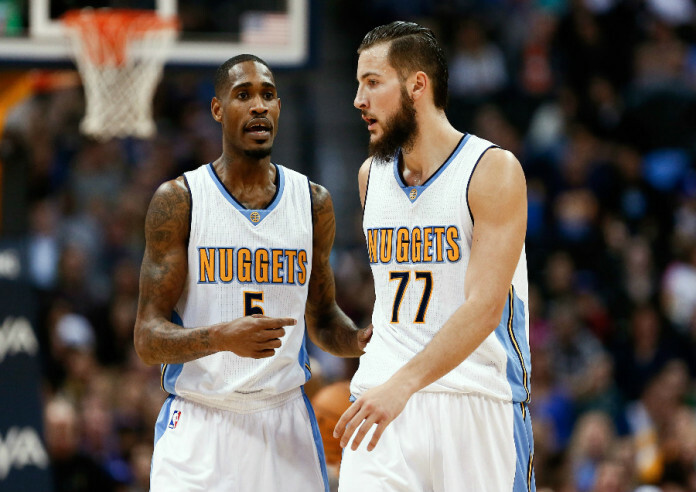 Play with passion: The Nuggets need a spark. They’ve been flat since the All-Star break, and that needs to change. When the Nuggets come out strong, their confidence rises; that confidence breeds chemistry, and they can’t win without either. Game time is set for 8:30 MST.